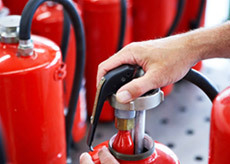 Ensure that your home or business has the necessary fire safety products to keep you and other occupants safe. From large corporations occupying an entire skyscraper to a family of four in a modest home, Kimty Fire Protection ensures that every person and every space is fully equipped to deal with the danger of fire. We provide a range of fire protection services designed to help you establish and maintain high-quality fire safety procedures that contribute to saving lives. Every second and every action counts during a building fire; make sure you’re doing the right thing with help from Kimty. Kimty Fire Protection Co Pte Ltd is proud to install only the very best quality products approved by the relevant authorities. We use only the most skilled and qualified technicians who are experienced in the installation of fire protection systems and are trained in accordance with the relevant standards and practices. 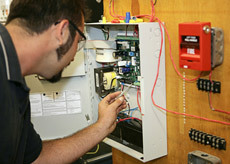 All installation is conducted by Kimty’s own in-house team of skilled technicians – we do not sub-contract. We know experience is a large factor to consider when choosing a service provider. We believe that our more than four decades in the industry provide us with the necessary experience to ensure your satisfaction and complete compliance with the relevant regulations and legislation. The maintenance and inspection of fire protection systems should always be exclusively carried by properly trained persons in approved workshops. All systems require inspection and maintenance to be conducted in accordance with the relevant codes of practices and standards. When you contract Kimty for your maintenance, you can rest assured that all maintenance will be performed by our own skilled team of technicians and not sub-contractors. You will only receive the very best quality service at the most competitive price from us.